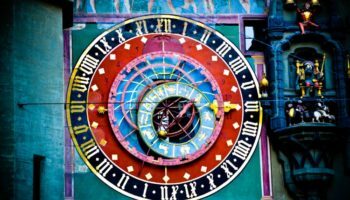 Possibly the most bilingual place in the whole country, Biel, as it is known in German, lies right on the linguistic border – so half of its residents know it by the French name, Bienne. While most people simply pass through, its delightful location at the foot of the Jura Mountains overlooking Lake Biel makes it a pretty place to visit. 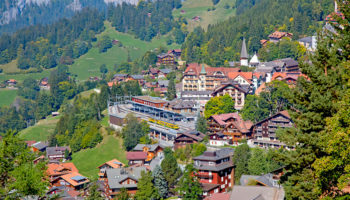 In addition to the views that it offers of the Alps, it has a quiet and picturesque Old Town for tourists to wander around. While you´re here, you may as well try some of the local wines and go for a swim in the lake. 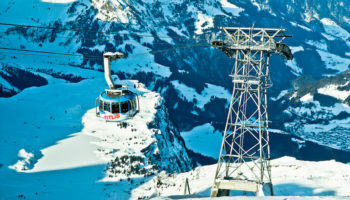 Biel-Bienne is a great base from which to explore the mountains and Drei-Seen-Land. Lying on the banks of the Rhone, Sion is a small city that is beautifully located in the Rhone Valley. While it does have a modern side to it, the highlight is undoubtedly the old town, which has two dramatic hilltops overlooking it. Atop of these lie a ruined castle and a 13th Century church; they certainly make for impressive viewing with the Alps peering out from behind them. With vineyards surrounding the city, wine plays an important part in Sion´s social life, so there are lots of great restaurants and atmospheric cafes from which to sample some of the local wines. From here there are some fantastic hiking trails around the valley. With a stunning location straddling the gorge that splits the city in two parts, Fribourg is certainly dramatic to behold and there are a number of great views to be had from the city itself. Rising above the Samara River, a couple of picturesque bridges join the western, French-speaking part of the city with the eastern part which speaks German. It has a magnificent medieval old town with an impressive cathedral that towers above everything, as well as some interesting museums, impressive fortifications and beautiful architecture. Thanks to its large student body there is also lively nightlife for visitors to enjoy. 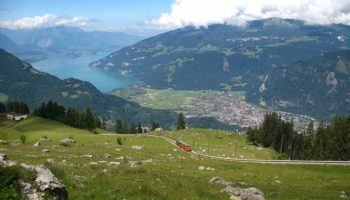 Interlaken´s incredible setting between two alpine lakes with snow-capped mountains dotted around makes it a splendid city to visit in Switzerland. Although the city itself is small and touristy due to its plethora of souvenir shops, it is the beautiful scenery surrounding it which draws people to the area. 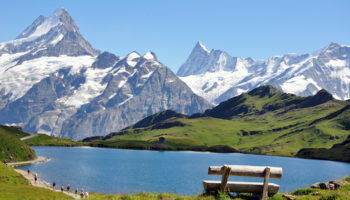 It is the gateway to the famed Jungfrau region of the country, and from here you can go white-water rafting, abseil down waterfalls, and hike around the lovely lakes and mountaintops. The oldest city in Switzerland, Chur is delightfully surrounded by the Alps. As such, there is some grand hiking and trekking to be had in the nearby mountains. The city itself is small and easily walkable in a day, with the Old Town being the undoubted highlight. Here you´ll find a laidback center with some nice bars and restaurants dotted amongst the old buildings. 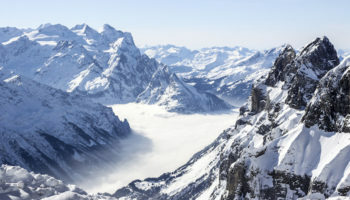 In the winter months there’s great skiing in the mountains, with St Moritz and Davos not too far away. 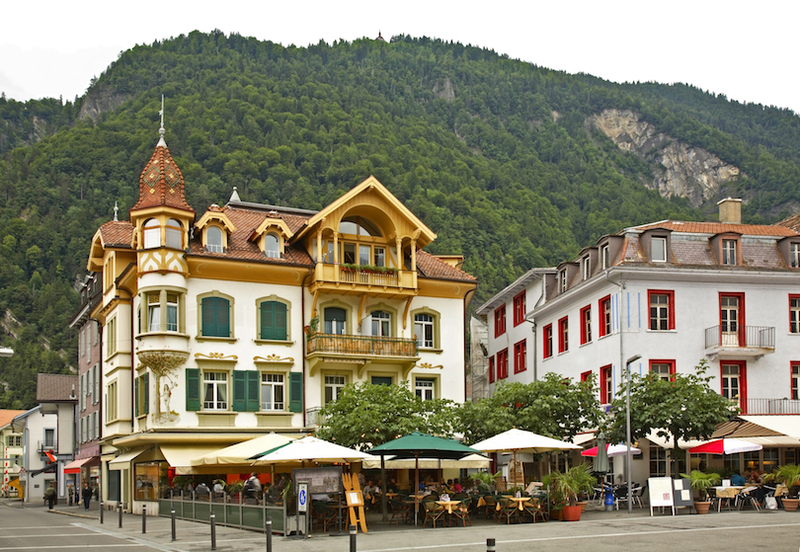 Lying alongside the banks of the Aare River, Thun is ringed by mountains and looks like the archetypal Swiss town. 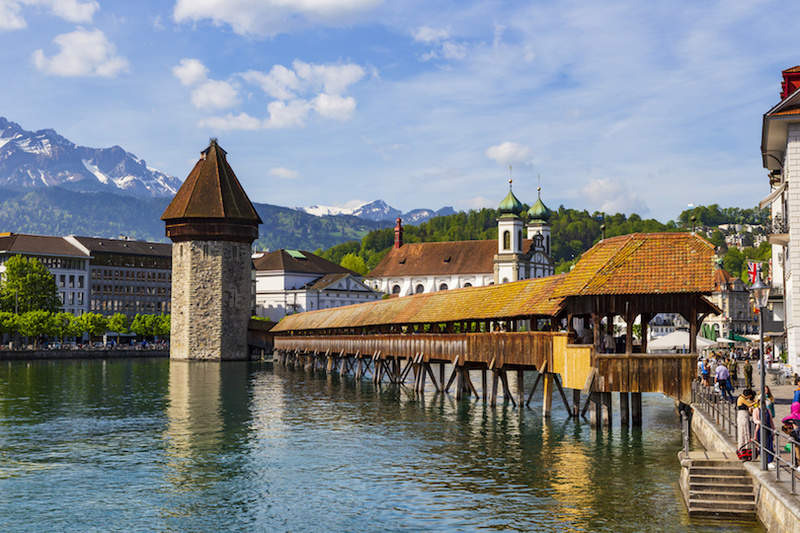 With a domineering castle overlooking the city, old buildings lining the riverside, and cafes along the waterfront, Thun is a charming place to wander around. There´s a certain energy about the city and unique artisanal shops dotted about its streets. With three medieval fortresses lying around this city and its beautiful location at the point where several valleys join, it is somewhat surprising that Bellinzona´s wealth of attractions receive relatively few visitors. The Old Town is a pleasure to wander around, and its twisting alleys are home to renaissance churches, homely cafes and chiming bell-towers – all of which gives Bellinzona a charming feel. Once ruled by the Italians, Swiss and Italian culture mix together in this delightful hidden gem. Steeped in history, St. Gallen´s ancient streets are perfect for history buffs to revel in. Its picturesque squares and tiny cobbled alleyways weave their way about the old part of town, until you suddenly stumble across the impressive cathedral towering above you. The main attraction is the beautiful baroque library located in the abbey, containing a large number of books dating back to medieval times. A cultured seat of learning, St. Gallen is set amongst roving green hills, while mountains can be seen far off in the distance. Set in the Italian-speaking part of Switzerland, Lugano lies on the shores of Lake Lugano and has mountains throughout the landscape surrounding it. Along with its scenic setting, Lugano is a chic and glitzy place to visit, thanks to its up-market boutiques, restaurants and bars. Its delightful cobbled streets snake away from the heart of the city at Piazza della Riforma, and there are some great promenades along the waterfront which offer fantastic views over the lake. 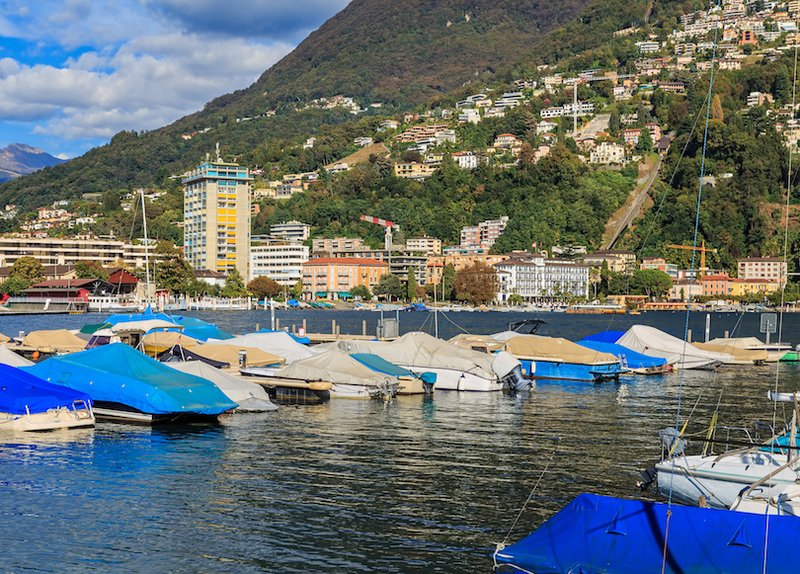 With a fine cathedral, a great modern art museum, and hiking on offer in the nearby mountains, Lugano has more than enough to make it worth stopping by. Buzzing with life, Lausanne´s large student body makes it a fun city in which to spend some time. There´s an upbeat and youthful feel about the city, and it´s a great place to hit the town due to its bustling nightlife scene. More than just a university town, Lausanne is beautifully located on the hillsides overlooking Lake Geneva. The city drips down the gentle slopes, with the beautiful gothic old town located at the top. 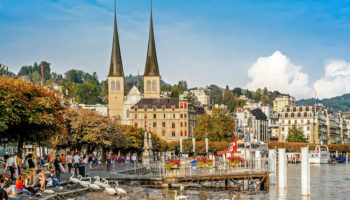 There are some great museums scattered around, or take some time to relax in the many cafes and bars that line the warehouses along the waterfront at the bottom of the city – Lausanne has something for everyone. The second largest city in the country is a wealthy, cosmopolitan place that certainly has a luxurious feel. Home to numerous international organizations, such as the UN and World Bank, there is an opulence and glitter about its streets. 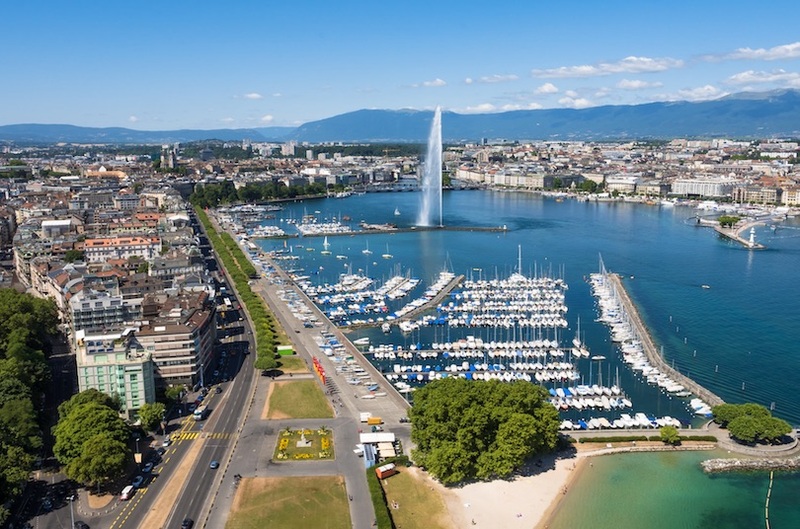 Lying on the shores of Lake Geneva, the city has a plethora of expensive hotels, boutiques, and restaurants for visitors to choose from, although there is, of course, another side to Geneva. Head to neighborhoods such as Les Grottes and Quartier des Paquis and you´ll soon find bars with bucket loads of ambiance and energy – a world away from the stuffy corridors of the UN. Located on the banks of the Rhine, Basel´s strategic location right on the borders of France and Germany has seen wealth accumulate in the city as trade and commerce flowed through its streets. Consequently, it has a host of fine old buildings and there is a wealthy vibe about the place. There are also some fantastic museums and galleries on offer. Although it is not as picturesque as Bern, Basel still has a lovely old town which is worth visiting, and some great architecture both old and new located around its confines. To get a feel for the everyday life of its residents, head to Kleinbasel to enjoy some fine dining down on the riverbanks. 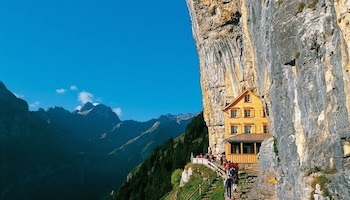 The picturesque capital of Switzerland is a dream of a place. Walking around the winding cobbled streets of the Old Town, you´ll pass fountains and bell towers interspersed among the plentiful old buildings. 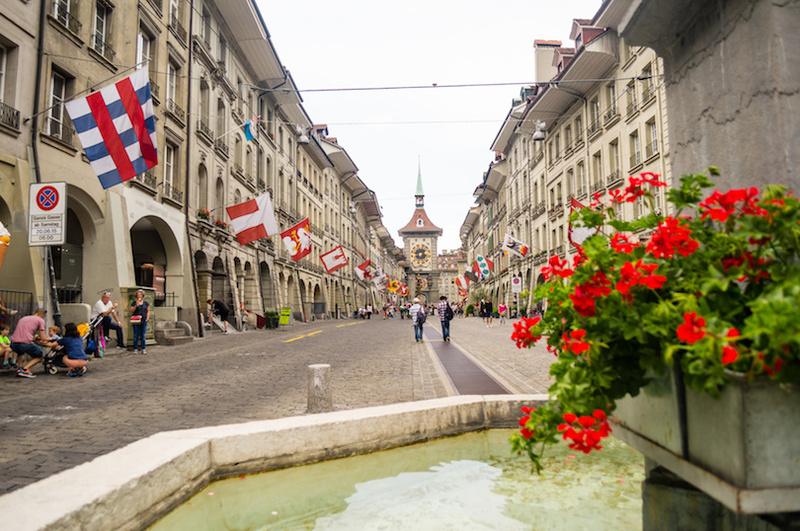 Many edifices date back over five hundred years, to when Bern was reconstructed following a fire – the coherent design and architecture is in part what makes the city so impressive. There are over six kilometers of covered arcades in Bern, giving it a distinctive feel, and these house a number of great bars, restaurants and shops. Dripping with history, the city also has a lot of good museums which are worth checking out. Bern´s beautiful location, on a peninsula surrounded by the tree-lined Aare River, only adds to its charm and laid-back vibe. This beautiful city is absolutely stunning to visit, thanks to the surrounding mountains and the glistening lake that borders it. 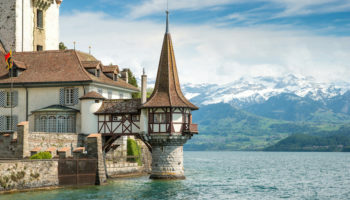 There are a number of great views to be had, and, in addition to the picture-perfect scenery, Lucerne has a delightful medieval quarter which only adds to the charming feel. The winding alleys of the old town weave their way along the banks of the river that runs through the center, and strolling along the waterfront in the sun is simply heavenly. The 14th century Chapel Bridge is a popular sight to visit and there is a lively music scene too. 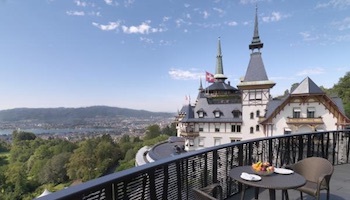 The largest city in Switzerland lies on the shores of Lake Zurich. 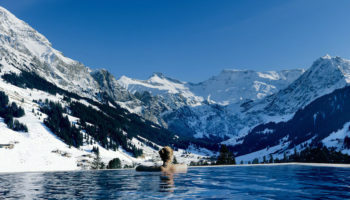 It has the River Limmat twisting through it and snow-capped mountains lying on the horizon. Along with its enchanting setting, the city is a vibrant and lively place that is great to live in as well as explore as a visitor. 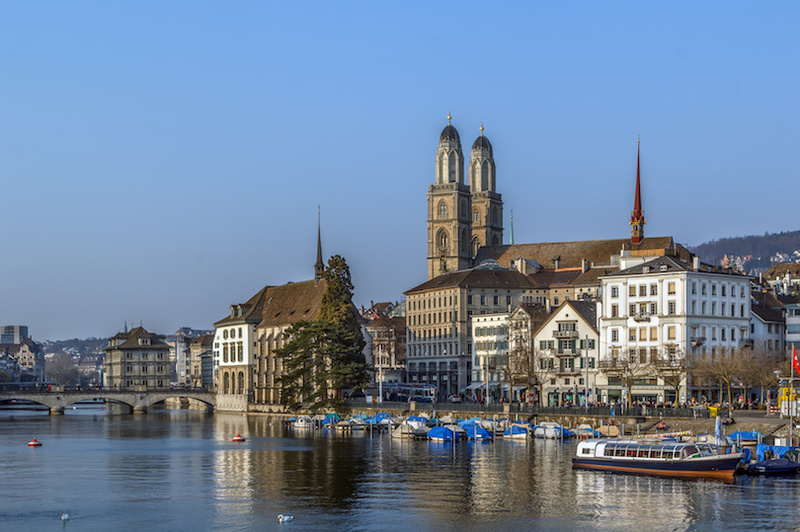 Zurich is the perfect mix of old and new, as its hip cultural and arts scene perfectly blends with the delightful historic center. The trendy city has some great shopping, as well as fashionable cafes and a happening nightlife. 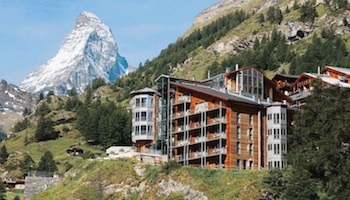 I am really surprised that Zermatt isn’t on the list. I think it’s one of the prettiest and most quaint in all of Switzerland. The Matterhorn as a backdrop is really something to see.